HAMP loan modifications ended with the program expiration on 12/31/2016. During its first few years, HAMP loan modifications were widely criticized for only reaching a small segment of the troubled housing market. Unfortunately, with HAMP being a government program, it was designed to help only a limited number of people. It was not designed to help those who had “abused the system”, and understandably so. According to statistics published by the U.S. Treasury, (www.treasury.gov), only about 15% of HAMP applicants will qualify! Thereafter, a majority of homeowners that qualified for HAMP loan modifications found themselves in default again within a year. This was mainly due to inadequate modifications which excluded the “principal forbearance” element. Frankly, the program was never intended to assist every homeowner. As the US economy has worsened, the need for homeowner assistance has only grown. During HAMP’s existence, the vast majority of loan modifications completed by banks were a product of their own negotiations anyway. These modifications are known as proprietary or “in-house” modification programs. these programs are easier to qualify for, because they do not strict governmental program guidelines. Accordingly, these programs can offer assistance to a much greater segment of the population. However, since June, 2012, the guidelines for HAMP have changed dramatically. The biggest failing of HAMP was the “principal forbearance” element, which banks simply ignored. The new program guidelines, however, offer three times the incentives previously available to investors for principal reductions. Since that time, principal reductions have increased dramatically in both frequency and size, according to statistics published by the U.S. Treasury. As lenders receive monetary incentives for enrolling a homeowner in HAMP, banks will be trying harder than ever before to help borrowers qualify for a HAMP loan modification. Does this change how I apply? Do I have to apply for each one separately? The answer is “no”, you don’t have to apply separately. The application process starts by you providing detailed financial and other information to your lender. your lender will first see if you qualify for HAMP. If not, they will consider your application for any of the other proprietary programs they offer. Each lender has their own programs and guidelines, and knowing the program guidelines before you apply is very important. 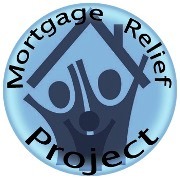 If you do not correctly portray your situation to your lender, you may hurt your chances of getting a any loan modification.This is why MRP strongly advocates attorney representation for all mortgage mitigation matters! An experienced mortgage mitigation attorney already understands the program guidelines and can present your case in a manner which will give you the greatest chance of qualifying. They can also deploy legal strategies when appropriate during the negotiation process.